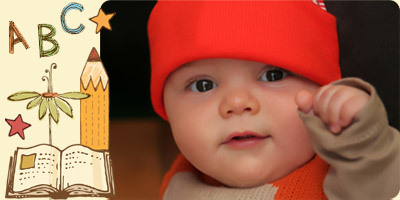 The infant room at Xavier accepts children ages six weeks through 12 months. The infant program is designed to provide a loving and nurturing environment with warm, caring and experienced teachers. Infants need a lot of TLC from patient and gentle providers in order to “trust the world around them” and help them grow into emotionally healthy and happy children. Infants at the Xavier School are able to promote growth in every area of development in our classrooms through our age appropriate toys, games, and music. Teachers work directly with children, both one-on-one and in small groups, reading books, singing songs, and talking with infants. The Xavier teachers practice the philosophy of tending to infants’ individualized schedules, since the needs of each baby varies. We read a child’s level of joy or frustration through the language of their behavior, and provide a consistent atmosphere where a child can explore his environment with a sense of security and confidence.